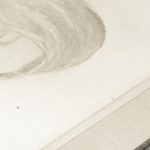 Cory Huff is the guy behind The Abundant Artist, a hugely successful site that offers artists help and advice on how to make a living from your art. The Abundant Artist has been going for a long time and has gained a steady following and decent name in the game. 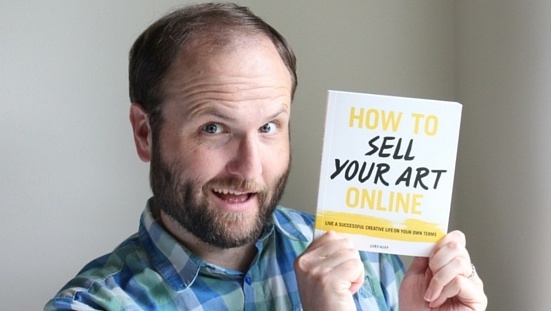 The founder, Cory Huff, has written a book called How to Sell your Art Online: Live a Successful Creative Life on Your Own Terms. In the book he shares his philosophy on how to be your own boss and go it alone with the help of the internet. 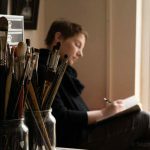 As it is pretty hard to make a living from your art, as we know all too well, there are consequently a lot of sites offering art business advice. Does Huff deliver? Contrary to most art business advice books, this one is all about how to go it alone. How to ditch the galleries, and be a solopreneur. Huff brings in a lot of traditional business concepts, most of which are pretty alien to us artists. 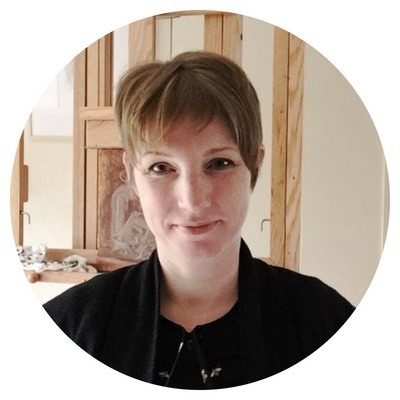 But concepts as ‘your ideal client’, ‘lead magnets’, mailing lists and your ‘uniquity’ are all popular and proven ideas that help make your art business more profitable and business-like. I have been reading about the business side of art quite a lot recently, and many concepts come back again and again. It is funny how we, as artists, find many of these ideas pretty alien. Almost no artist goes into the arts world thinking of clients, products, marketing and sales funnels and yet when we realise we might need to earn some money to keep a roof over our heads, these are exactly the concepts we are asked to think about. Of course we can argue that selling through galleries is on its way out. Whether the internet is going to take over like it did for the music industry (are we all streaming music?). And yes it is true, only the lucky few will get into those high-end galleries. But I do think that Huff underestimates the gallery world. There are so many smaller galleries that still serve art lovers and artists wonderfully well. Economic downturns will affect them but the same applies to artists going it alone. Galleries are still a worthwhile way of selling art. But, Huff is right; the online art market is growing fast and is not to be ignored. All that said, every artist has a choice where and how to sell their art. 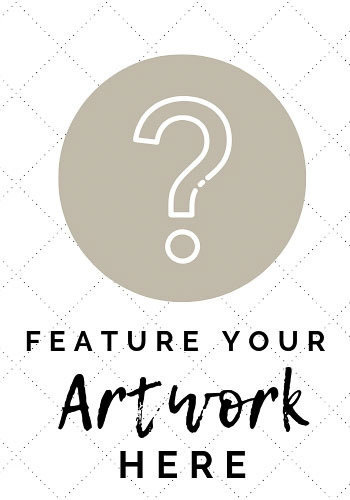 If they don’t want to go down the gallery route (or the prints, licensing or commissions route) selling your art online is a fantastic option and one that is growing in popularity and effectiveness all the time. 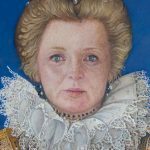 Many of us are used to buying online, have bought art online, and many artists have had direct sales from people they have never met via our website and email. 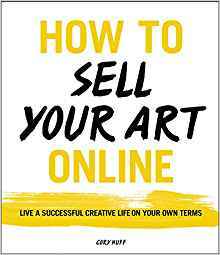 Huff’s book is a wonderful guide for those of us who want to go down the route of selling art online. The book covers very practical things like how to build your website and how to market on social media. How a blog can help (must read that chapter twice) and what to write about your art. He starts with the infamous myth of the starving artist. I do sometimes think we are all infected with this myth. Do artists really have to suffer in order to make good art? Nonsense of course, but still today art students are told they will be poor forever. Huff will prove them wrong and tries to insert at least a hint of a business mind into our creative souls. He mentions artists like Gwen Seemel (she is an often used example of artists making it on their own, but one might wonder if her story is applicable to others?) and how many artists struggle with the fear of failure (and boy, a lot of books have been written on that topic; sometimes it seems the only business advice artists ever get is in the shape of mental self-help books. Don’t get me started; we’re not all in the arts for therapeutic reasons. Anyway, I digress….). Huff’s insistence that making money from your art can be done, online, is heartening. And he provides plenty of solid, practical advice. Yet I still believe it is simply not as easy as he says. Merging an artists’ mind (focussed on a creative journey) and a business mind (focussed on a client) is sometimes hard to make happen. Figuring out your ‘ideal client’ is not straightforward for everyone. Writing about why you do what you do is not easy and knowing yourself even harder. Writing stories (as that helps sell) is a skill in and of itself. And his suggestion that 50% of your time should be spent on business and 50% on art is too much for many artists (I have read even tougher time divisions of 20% of your time spent on art and 80% on marketing). It simply remains a fact that if you want to make a living from your art (and you are not super lucky) you will have to make compromises and make choices. Choices that are not always fuelled by and sometimes go against your creative ideas. But even if you don’t want to go all the way, Cory Huff’s book is full of useful advice to at least improve your art business a lot. We can argue over small details (on whether to have sharing buttons on your site or how successful artists think) but from the many art business books that I have read I do think this is definitely one to read if you want to grow a few more business cells in your artists’ brain. I took some useful tips away from it which I hope to apply to my own art business in the future. Have you read Huff’s book? What did you think? Great write up Sophie, I’ve just gone to buy the book. Great! Hope you’ll find it useful. 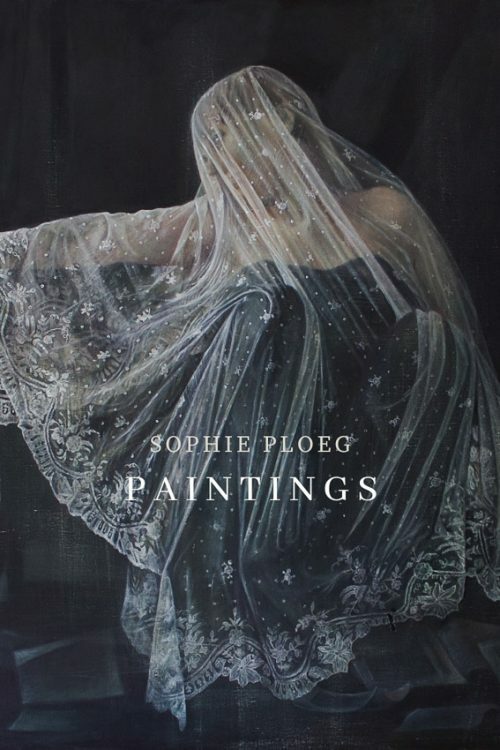 Thanks Sophie for this review. $20 is actually a tough spend right now so I’m just wondering whether Cory’s book is for me and you’ve helped me decide. 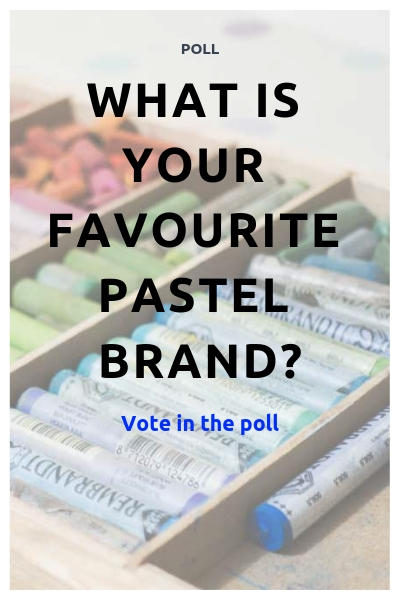 I may just be the sort of person who could put in something close to 50/50 between the business and the art making itself, seeing as I lost the motivation to make art after going to art school (and becoming too critical and overwhelmed by the need for a concept and references to the art world and other artists etc). I’m now somewhere in the middle with my nature based art making getting a revival after realising I want a mobile business to match my currently semi-nomadic lifestyle and my drawings and mixed media work just might be the thing. Being able to make work that is not aimed at gaining recognition in the big scary elite art world seems very appealing. Along with the opportunity to have an independent income, even a small one, that is related to the beautiful parts of the country I’m in, seems timely if not perfect. What a shame you feel so de-motivated after going to art school! Seems like they missed their target as surely they should be doing the opposite. I hope you will find your ‘groove’ and enjoy making your art while also being able to live. It is famously hard for artists to make a living and many do rely on other sources of income though. But those other sources do provide a way to be able to create the art you want to create, without having to appeal to any elites or anybody for that matter. Good luck!